An Ashland native, Jared was a well-known fixture around what was then called, the Ashland Racket Club winning his first tournament there at age ten! Jared became a highly ranked Junior Player, playing #1 Singles for Ashland High School. After being invited to play for The University of Oregon he went on to play professional team tennis for Melbourne Park, training at the site of the Australian Open in Melbourne. While there Jared served as all-time major winner (male or female), Margaret Court’s, hitting partner. In 2005 he was invited to train with Cuba’s National Tennis Team in Havana. From 2006, until accepting the position of Director of Tennis at ATFC, Jared enjoyed an illustrious and dynamic twelve year career as a highly regarded Pro in Beverly Hills, California. During his last 3 years as a pro in Beverly Hills Jared was Wimbledon Champion Pat Cash’s hitting partner, as well as hitting partner for other professional players and division one college tennis players. His long time standing clientele has consisted of A-list celebrities, global business leaders, Heads-of-State, talented Juniors and amazing people who became weekly fixtures and friends. To contact Jared, you can call the club at (541) 482-4073 or email to tennisdir.atfc@mind.net. Merilyn played tennis on her high school team in South Africa and has been around tennis ever since. She coached both her sons for their high school tennis teams. She is also a certified U10 tennis instructor teaching at the Medford Parks and Rec, and the RVSTC. Merilyn enjoys meeting new people, traveling and playing social and competitive tennis. 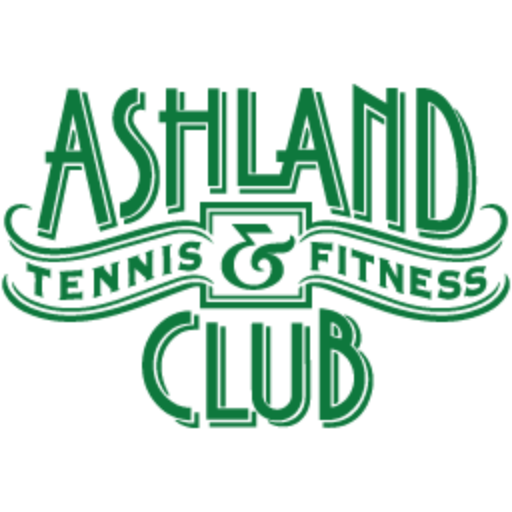 She is excited to continue teaching here at the Ashland Tennis & Fitness Club. Merilyn teaches the younger junior players ages 4-11. To contact Merilyn, you can call the club at (541) 482-4073. 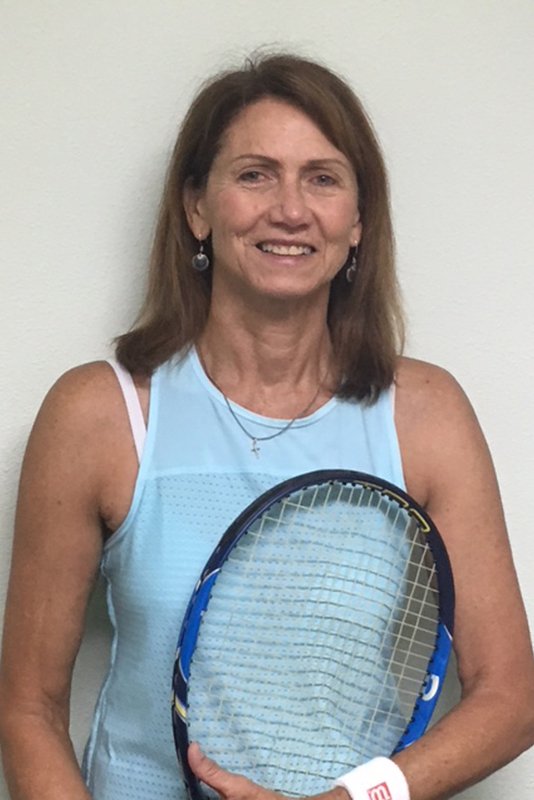 Gail was born and raised in Sacramento, CA where she learned to play tennis at age 8. Earned a B.S. in Physical Education and a Secondary Teaching Credential at the University of California-Davis and a Masters degree in Sport Science at the University of Oregon. Gail taught physical education and health at the junior high, high school and college level. She coached the SOU women’s varsity tennis team for 10 years, twice earning Conference Coach of the Year awards. She is a USPTA certified teaching professional for over 20 years. 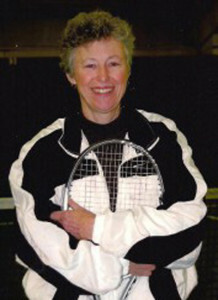 Gail ranked #1 in singles and doubles several years in several USTA/PNW Section age groups. Her highest USTA National Rankings: #21 Singles, #13 Doubles. To contact Gail, you can call the club at (541) 482-4073. 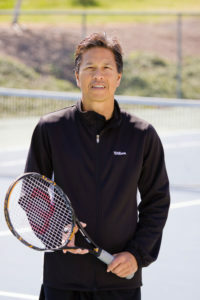 Frank has been an USPTA Elite Tennis Teaching Professional for over 30 years in the Rogue Valley. He has worked with novice adults up to Wimbledon champions, novice juniors up to US Open Junior Champions. Frank has been inducted into the USTA/PNW Hall of Fame. Frank will be teaching with limited availability. If you are interested, please contact him directly at adinn@charter.net or (541) 227-1693.